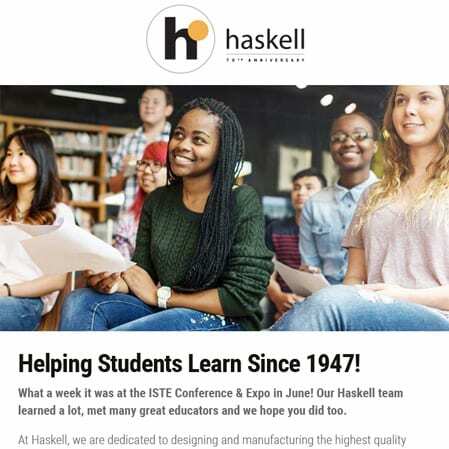 Haskell is a leading office and school furniture design and manufacturing firm, with a rich history. 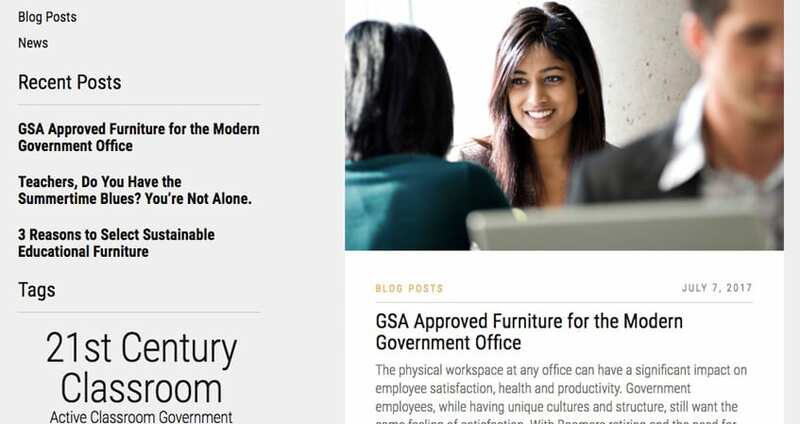 Founded in Pittsburgh 70 years ago, they have focused on producing high quality, innovative furniture solutions for the modern business world. 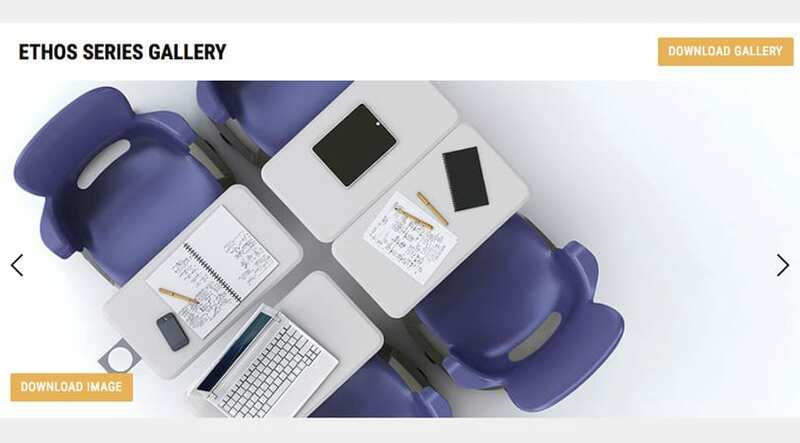 Their educational furniture lines are the standard in the industry and are much more than jus aesthetically pleasing. 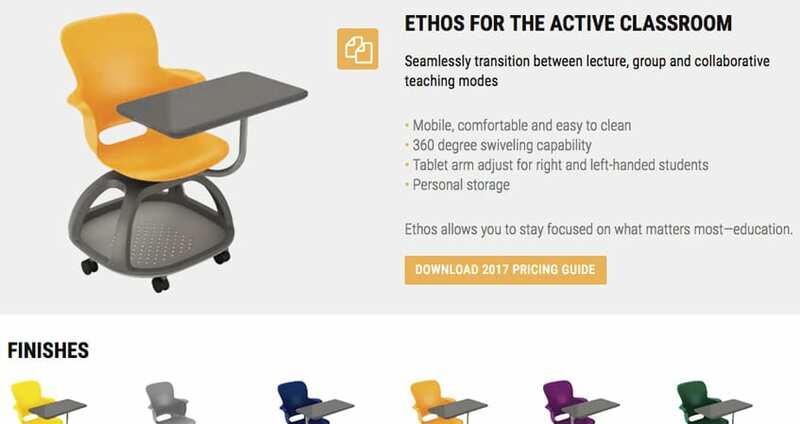 The Ethos chair, pioneered by Haskell, allows students to have the mobility, storage, and flexibility necessary to facility positive learning outcomes in the 21st Century Classroom. 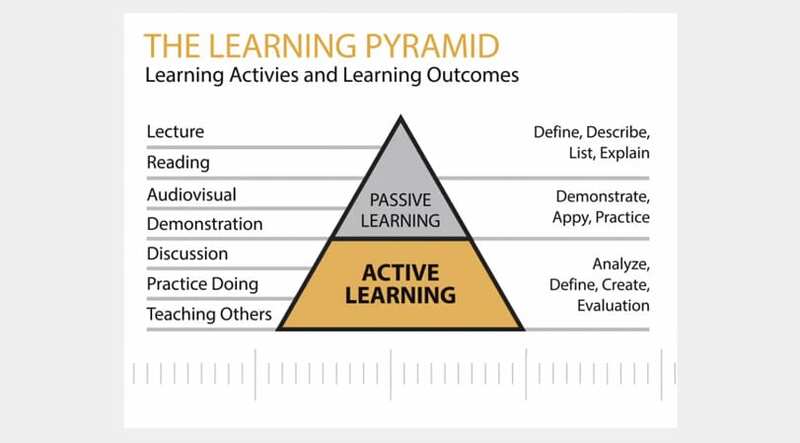 To help spread their message and help schools perform better, Haskell began work with Brand Llama through an agency partnership. The website for Haskell focuses on ease of use and clear message communication that lets the visitor choose their path as quickly as possible, targeting specific industries with self-selection techniques. A focus on the solutions that Haskell's furniture provides allows for beautiful photograph that showcases the unique aspects of their products. Targeted messages for specific industries, including full featured landing pages and interactive informational areas, helps visitors discover solutions to problems they never recognized before. 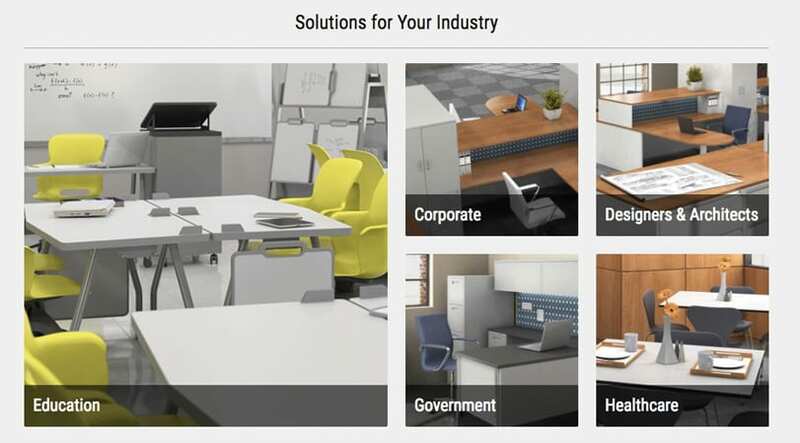 Each product page features a gallery of beautiful and informative product images that show the full capabilities of their furniture solutions. A multi-tier marketing program was developed to reach the unique industry targets through communication methods that resonate best with each buyer type. Email newsletters and marketing automation support the messaging platform with regular touch points to help keep Haskell and their products top-of-mind. Sometimes, a static image is simply not enough to convey a complex topic. 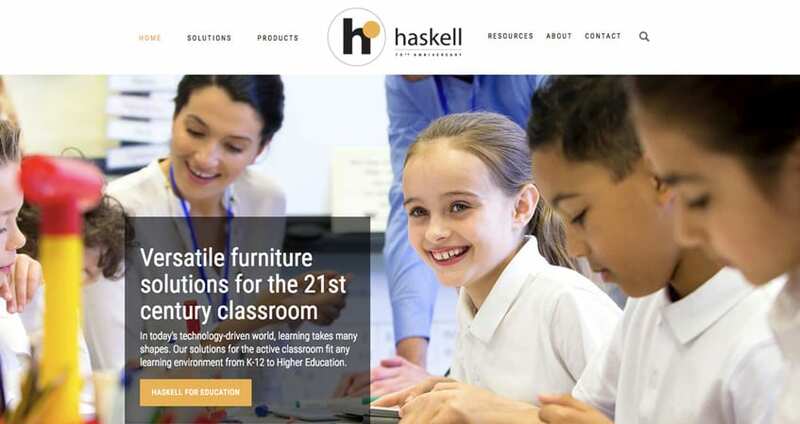 Brand Llama created an animated sales presentation focused on the 21st Century Classroom, and how Haskell's understanding of this concept has created unique furniture solutions that improve learning outcomes.